In lieu of flowers memorial donations may be made to Moore-Few Care Center and left at the funeral home. 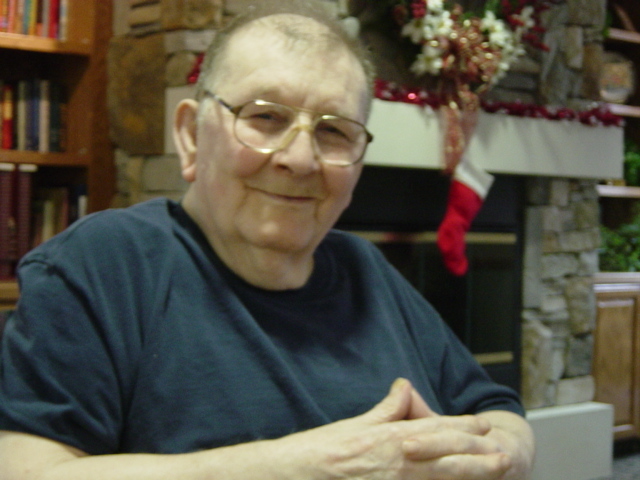 Johnnie David Bass, age 83, of Nevada, Missouri, passed away February 12, 2012, at Moore-Few Care Center in Nevada, MO. He was born June 18, 1928, in Crowburg, Kansas, to Elmer Everett Bass and Ada Belle (James) Bass. On February 14, 1953, he married Betty Brown in Benton County, Arkansas. To this union six children were born. After Betty’s death Johnnie married Juanita McCain on January 17, 2009. Johnnie was a farmer/preacher and a jack-of-all-trades. His main interest in life centered around serving God. He also enjoyed fishing. He will be missed by all who knew and loved him. Preceding him in death were both wives: Betty Bass of fifty-one years and Juanita McCain Bass of one year. He was also preceded in death by five brothers and one sister. Survivors include three sons: Everett Bass and wife Nancy, Tim Bass and wife Gerianne, and Randy Bass and wife Beverly; three daughters: Delena Gibson and husband Timothy, Lona Showman and husband Mike, and Lela Bass; one sister, Pearl Hartsel; and numerous grandchildren and great-grandchildren. Funeral services for Johnnie Bass will be Friday, February 17, 2012, at 2:00 p.m. at Bland-Hackleman Funeral Home in El Dorado Springs, Missouri, with a visitation from 1-2 p.m. Rev. Jay Borders will officiate. Burial will follow in Brasher Cemetery under the direction of Bland-Hackleman Funeral Home. Pallbearers are Matthew Bass, Leonardo Hernandez, Steven Showman, Michael Showman, John McCain and Jessie Biles.